The 2011 Carina Ari Medal for the promotion of the art of dance in Sweden is awarded to ANDERS JÖRLÉN. 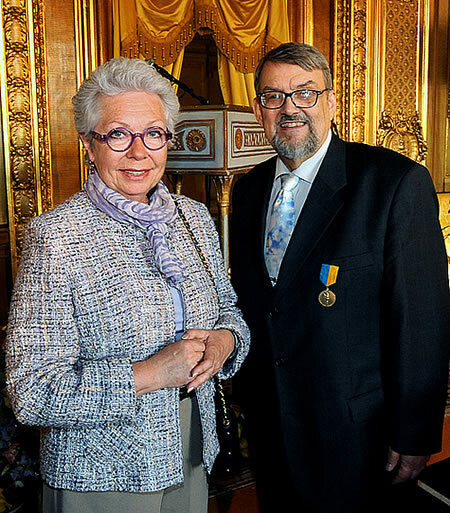 Anders Jörlén, winner of the Carina Ari Medal in 2011, together with HRH Princess Christina Mrs Magnuson at the award ceremony on Wednesday, 27 April, in the Gold Foyer of the Royal Opera. Since 1980, Anders Jörlén has been the untiring, committed and knowledgeable chairman of the Royal Opera Ballet Club, organising numerous eventful ballet trips to various parts of the world, in collaboration with the Friends of Dansmuseet. The Royal Opera has become a second home to Anders, but he is also deeply engaged in the repertoire of other Swedish dance venues and the activities of the Royal Swedish Ballet School. Anders Jörlén is also engaged in Dansmuseet as a host and guide, and is one of the key contributors to the online publication Dansportalen.